Before the Chinese New Year holidays, the SpaceChain team started the functionality testing of the SpaceChain OS blockchain. 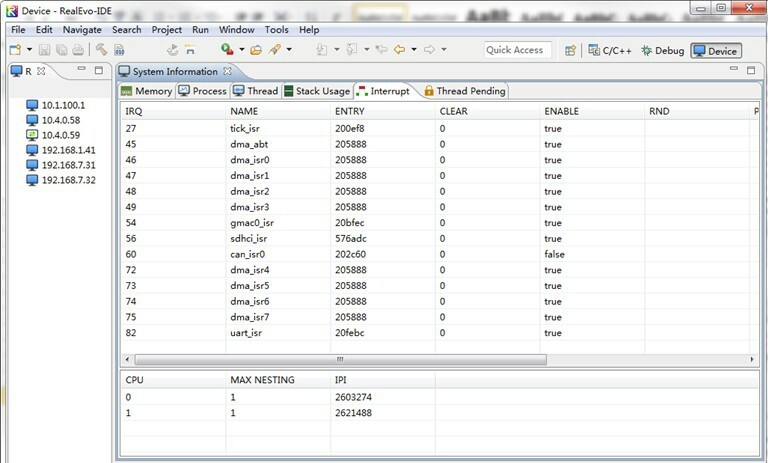 The main purpose was to perform functional verification. At present time, the test is going well and progress of development have been shown in the last Weekly Report. Next, we are going to conduct further tests to confirm reliability, stability and confirm direction of optimization for safe operation on aerospace equipment. 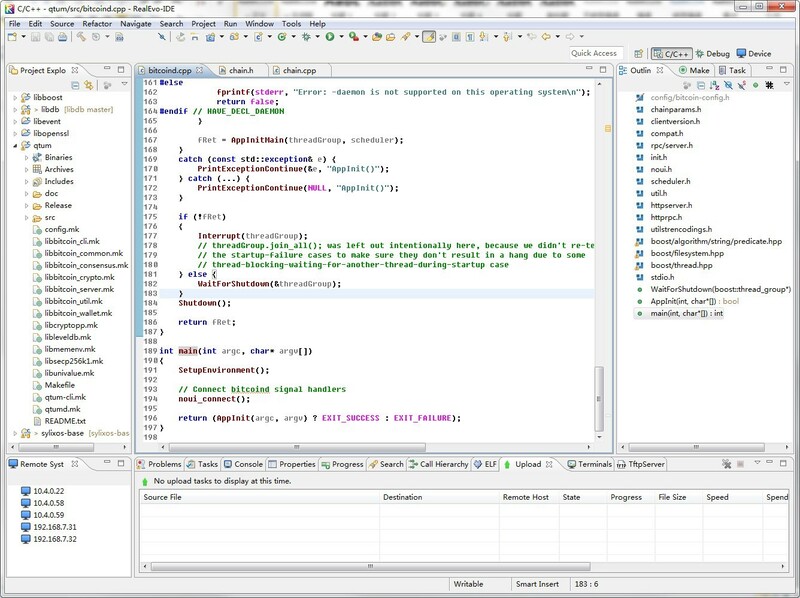 Here is our test system operation and code management test environment. 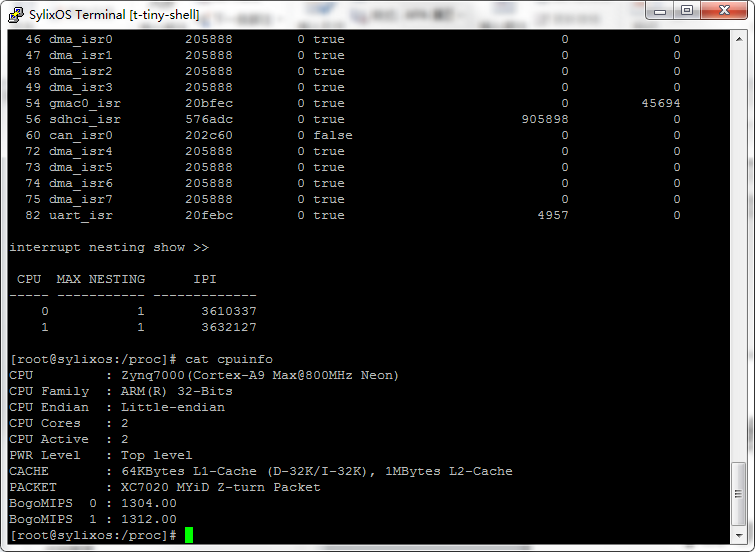 Please find the following as for the CPU models, kernel, Cache and other information. The figure below is the Zynq7000 processor, ARM32 architectural framework and dual-core. The following is the status of the system running processes and threads, where qtumd is the blockchain background process. The following threads that start with bitcoin are part of the threads of qtumd, each of which represents a service. SpaceChain OS supports SMP mode. You can use multi-threaded technology to speed up the blockchain software. 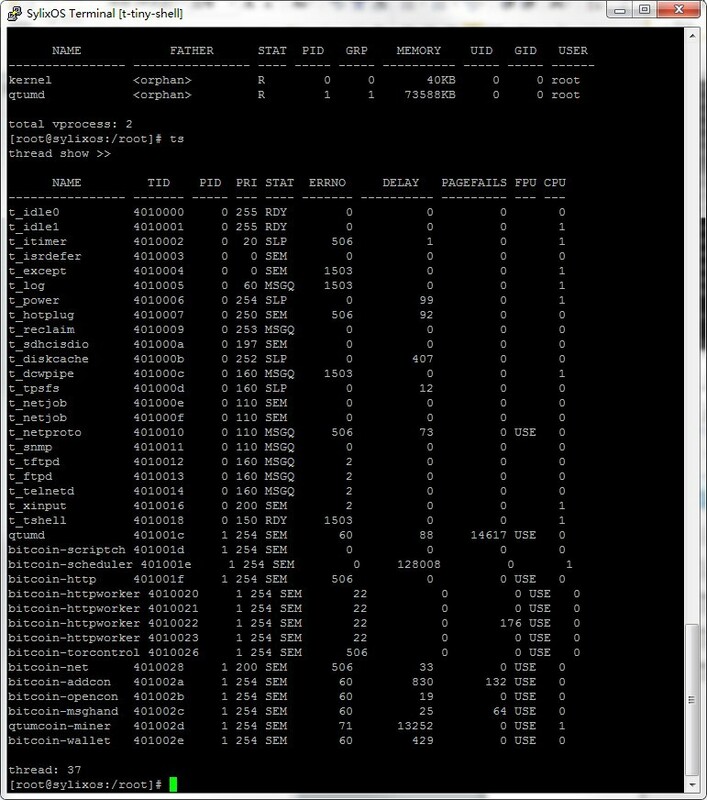 The figure below shows the CPU status. 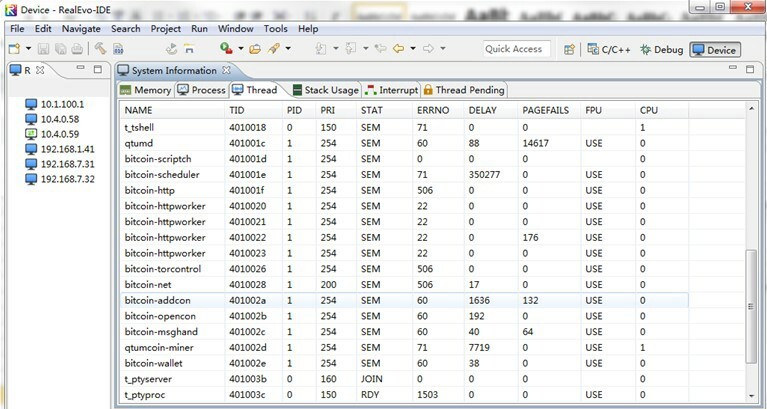 You can see the CPU status of each thread. The figure below shows the status of the network connection. 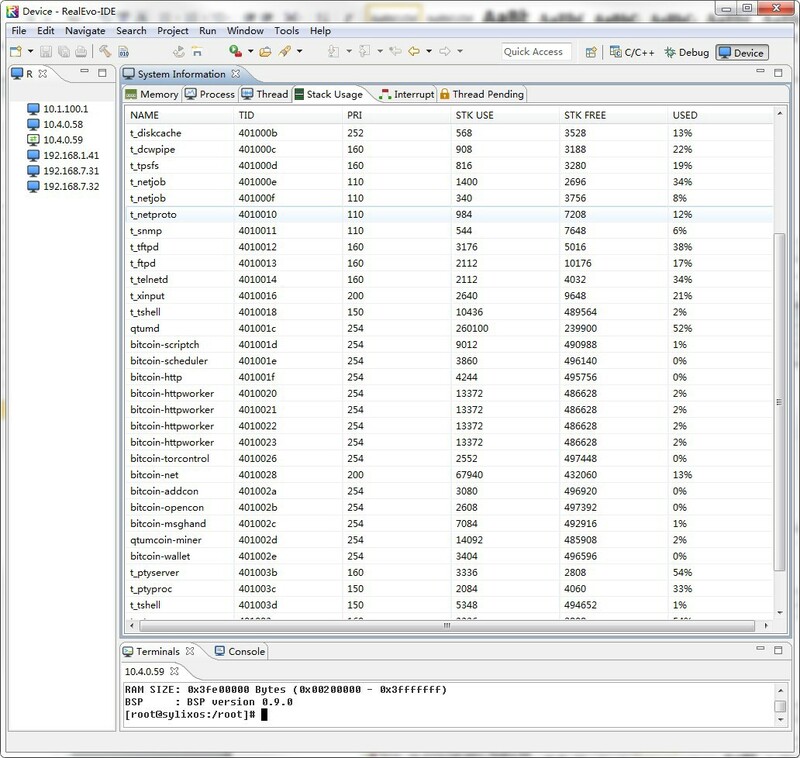 After the compilation is complete, we just need to click with the mouse to enter the debug view. 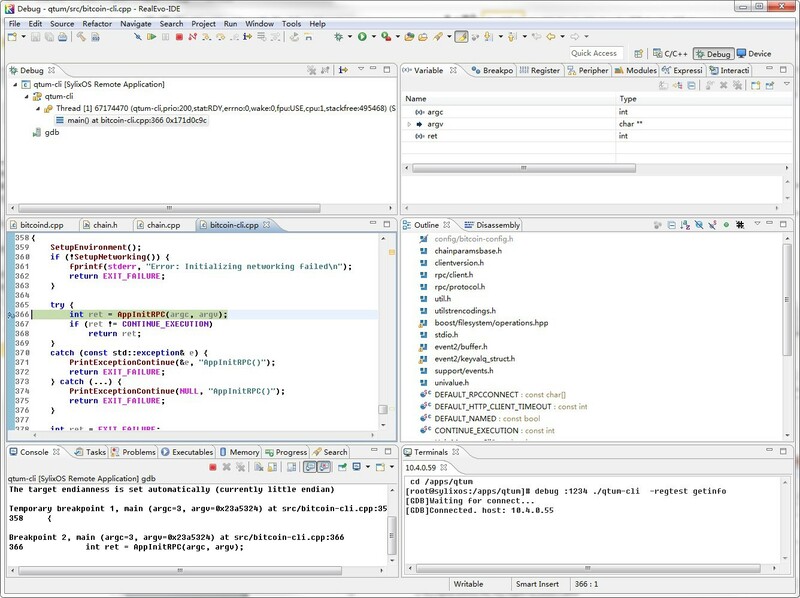 Debug view supports traditional Eclipse C ++ debugging of basic functions such as breakpoints, variable information, call stacks, register information, assembly windows and more. With this information, developers can see the overall operation of the software, identify the problems and solve the issues. We were trying to develop a new functionality in the system. 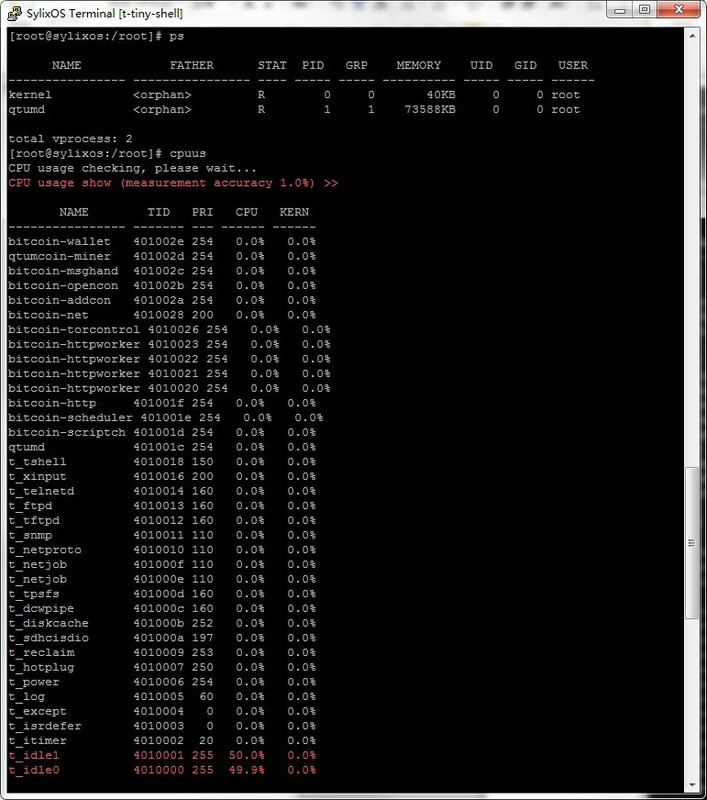 We try to develop a simulator in a windows environment. Recently, the SpaceChain and NanoRacks reached an official cooperation agreement. NanoRacks will be involved in the construction of the SpaceChain project to provide satellite, space station, payload and other important space resources. Meanwhile Jeffrey Manber, co-founder of NanoRacks, will serve as a core consultant of SpaceChain. 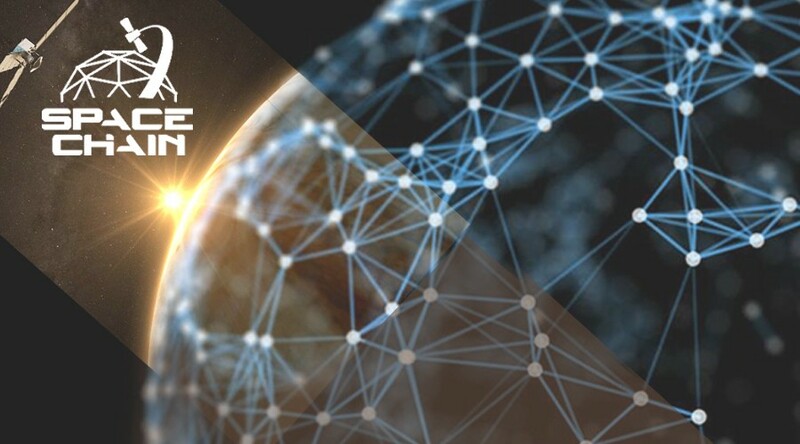 He will help the SpaceChain to seek new consensus in the field of international space. He has rich experience in cross-border commercial space cooperation such as the U.S.-Russia space cooperation and the QB50 satellite program. Founded in 2009 in Houston, USA, NanoRacks Inc. provides related products and services for the commercialization of space. 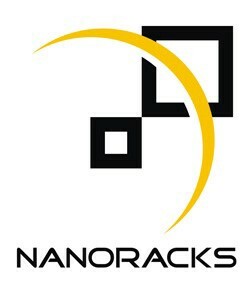 NanoRacks is co-founded by Jeffery Manber, one of the pioneering commercial space entrepreneurs. NanoRacks is also a key sponsor of the QB50 project and a recipient of the NASA Johnson Space Center Outstanding Contribution Awards as well as the New Space Pioneer Awards. The company has provided hundreds of installations and equipment for the ISS pilot launch of the ISS. The company is dedicated to space exploration, satellite and space station research. Its major services and products include space exploration remote sensing, small satellites and cubic satellite launches. As of 2017, NanoRacks has shipped 600 payloads to the International Space Station. The company’s clients include NASA, ESA, GEA, JAXA and universities from the UK, China, Vietnam, Romania and Israel Research institute. The well-known Cubic Star QB50 project led by NanoRacks has not only promoted the development of Cubic Star CubeSat, but also serves as a model for cooperation in scientific research and new aerospace technology in the atmospheric low-heat layer and worldwide cooperation among spaceflight nations. SpaceChain will also work with NanoRacks in the future to explore the combination of blockchain technology with microsatellites and space stations. From February 14 to February 18, the SpaceChain conducted the “Joy from the Space” program on the Qbao and Beechat platforms. There were 562,496 participants in the program. The SpaceChain Team will be organizing a Q&A session in March to answer community questions and engage in community interaction. Please look out for the upcoming announcements. Before the launch of SpaceChain OS, the final test and preparation will be done next week. So stay tuned! A community-based space platform that is integrating blockchain+space to lower barriers of entry to space and promote collaboration within the space community.